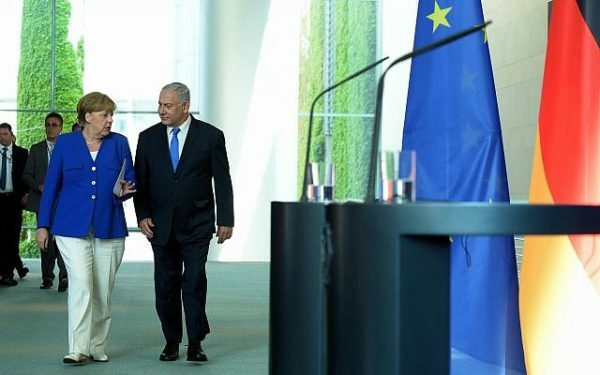 Hard on the heels of the United States’ withdrawal from the 2015 Iran nuclear agreement, Israeli Prime Minister Benjamin Netanyahu visited Germany, France and Britain this week in an attempt to persuade them to pull out of the landmark accord. Acknowledging that Iran had complied with the agreement, but complaining that Tehran had violated its spirit by fostering discord in the Middle East and testing long-range ballistic missiles, U.S. President Donald Trump walked away from it on May 8 and imposed new economic sanctions on Iran, as widely expected. Capitalizing on the momentum created by Trump’s unilateral moves, Netanyahu conferred with Chancellor Angela Merkel of Germany, President Emmanuel Macron of France and Prime Minister Theresa May of Britain with the intent of convincing them to abandon the agreement, which granted Iran relief from crippling sanctions in exchange for a freeze of its nuclear program. Netanyahu also asked his European interlocutors to condemn Iran’s hegemonist policies in the Middle East and call for the removal of Iranian forces in Syria. On the eve of Netanyahu’s trip, Iran flexed its muscles, while five of the major European powers that signed the agreement held talks with Iran in an effort to salvage it. 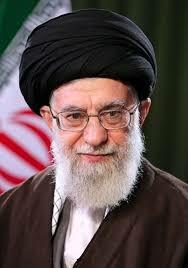 Iran’s supreme leader, Ayatollah Ali Khamenei, ramped up the pressure by ordering preparations to be made to increase uranium enrichment. 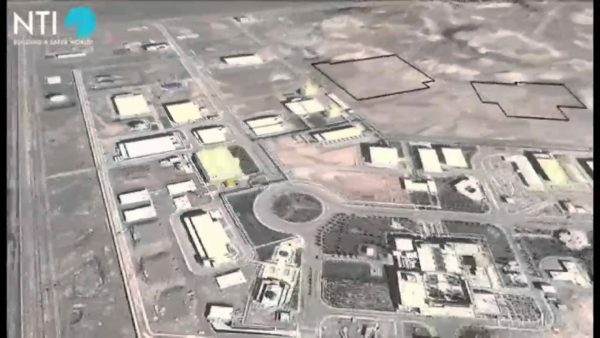 Iran then announced that work on a new centrifuge-assembly center at the Natanz nuclear site, its largest nuclear facility, had begun. It can enrich uranium to about 90 percent of what is needed for a nuclear device. 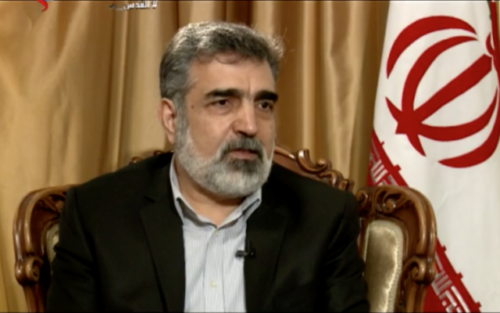 On the political front, Iran’s deputy foreign minister, Abbas Araghchi, met his counterparts from Britain, France, Germany, Russia and China to ascertain whether the agreement can be salvaged. Araghchi said that Iran would abide by it if “practical solutions” can be devised to address its concerns over its oil exports, foreign investments and banking flows. “The next step is to find guarantees for that package,” he said, noting that Iran would then decide whether to stay in the agreement. 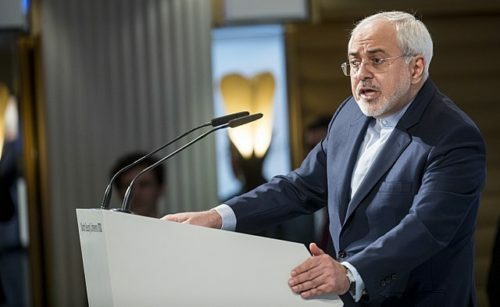 Iranian Foreign Minister Mohammad Javad Zarif, who played a pivotal role in crafting it, urged Britain, France, Russia China and Germany to resist American “bullying” and reiterated Iran’s position that it should not be amended. While Merkel, Macron and May concurred with Netanyahu that Iranian influence in the region is destabilizing and that Iranian military personnel must leave Syria, they made it perfectly clear that they stand by the agreement. This is a possibility, given the sharp disagreements between Iran, the European powers and the United States. Last month, in his first major policy speech, U.S. Secretary Mike Pompeo revealed how far apart the United States and Iran are with respect to the agreement and Iranian policy in the Middle East. 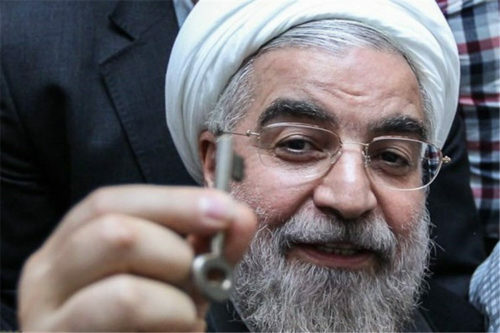 Contending that Iran must close its heavy water reactor, stop its nuclear enrichment programs and acknowledge the military nature of its nuclear program, he warned the Iranian government of consequences should it restart its nuclear program. 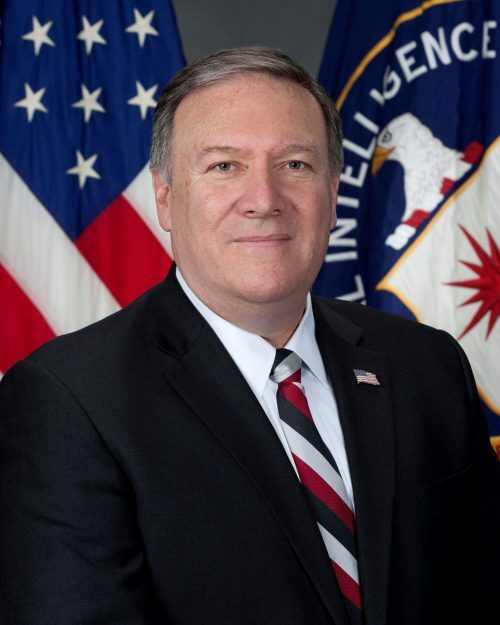 Pompeo also demanded that Iran should withdraw its forces from Syria and end its support of Hamas, Hezbollah and the Houthis of Yemen. Two days after Pompeo delivered his hardline speech, Khamenei shot back, aiming his fire at Europe. In an uncompromising presentation, he declared that Iran will honor the agreement only if Europe fulfills certain conditions: issue a condemnation of the United States for leaving the agreement, refrain from questioning Iran about its missile testing program or its regional activities, oppose U.S. sanctions against Iran, and guarantee Iranian oil sales and bank transactions. The Europeans want to save the agreement, but it’s highly doubtful whether they will comply with Iran’s onerous demands. In that case, Iran may pull the plug on the agreement, satisfying Trump and Netanyahu but leaving the Europeans glum.